Chumbawamba guitarist hits 50, takes a year’s sabbatical in America to write a memoir about his love of “wild running” – and uses his observations of the 2010 New York City Marathon to take the big city road race to task. An unimaginative cover for a book that is full of the stuff. Few books in recent years have called my name quite like Run Wild. Creative writing in form of a factual memoir? Check. A British author almost exactly my age? Check. That author is a musician who came of age in punk, came to prominence in anarchist-punk-pop band, therefore has anti-authoritarian outlook on life? Check. Author is self-educated northern English working-class, but appears absent any chip on his shoulder? Check. Author can speak knowledgably about political movements, great authors and obscure runners? Check. And author fearlessly champions off-road (“wild”) running, detailing specific examples from his years of global touring (and northern English living) in all glorious, gritty, muddy, snowy, dangerous but usually exuberant detail? Double check. So what’s not to love? In essence, nothing. This is a wonderful book, the most provocative and inspirational tome I’ve read on the subject since Christopher McDougal’s seminal Born To Run. And yet, and still, just because Whalley believes he is right about the opinions he puts to print – and, by and large, he is – doesn’t mean that those he detracts are necessarily wrong. You see, Whalley has written two books here. One of them is in support of “wild running,” and thanks in part to his vivid writing, his case is closed, and the reader-as-jury hopefully sold, long before he puts down his pen. But the other book is an attack on the big city marathon in general, the New York City marathon of 2010 in particular, and by none-too-vague extension, the concept of organized road running and racing in general. 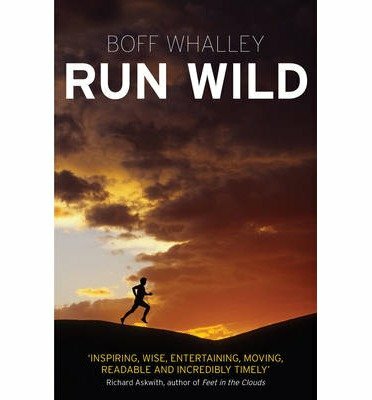 In Whalley’s book (literally and literarily), you are either a “wild” runner, or you are a road runner. You either run loosely organized, insanely challenging but typically exhilarating off-road hill races for the fun of it, or you suffer through what he sees as corporately controlled, madly monotonous, injury-inducing, soul-destroying marathons for reasons he can’t understand. It’s a place to make music, to dance, to paint and act and sing, to drive a taxi and shout shout shout as you drive, to cry to yourself in the snow, to eat what you like (and when you like), to spray-paint a eulogy to Joe Strummer on a wall, to sleep in a park, shivering under newspapers and cardboard, to sleep in a five-star penthouse overlooking Central Park, to write, compose, work, sleep – anything but run a marathon. Yes, this city loves to watch a marathon. But is that reason enough for 45,000 people to run one? But hold on! Pause! And rewind!… To the first time I ran New York City – my debut marathon. Look at my write-up at iJamming! from November 2002 and tell me that it wasn’t one of the most affirming and satisfying experiences in my life up until that point. And then allow what it did for me – as I know either NYC or other big city, bank-sponsored, mass-market marathons have done for so many other people. It set me off as a real runner. Sure, some people run a big city marathon once and say “never again” – just as others enjoy it so much that they arrange each running year around a similar experience, eschewing the alternatives Whalley believes are right outside their window. (Although, if he actually lived in New York City, he’d realize there’s a sad paucity of wild running on offer.) But in my case, it propelled me to truly embrace distance running in all its forms. In fact, I moved to the Catskills in no small part because of the mountains. I wanted to experience the dance with nature that is the trail runner’s lot: roots, rocks, boulders, streams, inclines, declines, bears and snakes – and grand vistas sweeping across vast mountain ranges and distant States, vistas that are sometimes devoid of any sign of human existence. I desperately desired to enter, and complete, the Escarpment Run, and having done so, it promptly became the first date entered on my annual calendar. When life (or the wife) gets me down, it’s not to the roads I turn, but to the mountains, and the solitude and meditation they provide – and when I come back down again, my world is usually back at rights and my troubles suitably rationalized in the grand scheme of things. A runner slows, stops and start again. He begins to wander from barrier to barrier. A spectator shouts ‘Follow the lines! Follow the line! The runner pours water from a paper cup over his head, shakes it, focuses on the blue line and sets off again A long, slow shuffle, head down, vaguely forwards. Let’s be honest. Any race, any commitment of any kind to push one’s mind or body beyond its normal capacity, whether it’s a student writing a thesis, a doctor performing open heart surgery, or a middle-aged adult on their first marathon, involves a degree of mental or/and physical hardship. Our willingness to put ourselves through such pain speaks volumes to our capacity as humans (and explain why, as Whalley rightly points out, we have come to dominate and are now steadily destroying our planet). I can certainly look at the pain I experienced on my second NYC marathon – and yes, I really suffered through those last six miles – and hope never to repeat it. (And I have not.) But I can look equally at my second, third and fourth Escarpment Runs and instantly recall (despite the fact that my finishing time was steadily improving) my inability to make it up Stoppel Point, the last of the steep climbs, without being reduced to a crawl or, worse yet, having to sit on a boulder for a couple of minutes to re-gather some strength. The “suffering,” in my case, has been equally distributed between road and trail. For further perspective, one might read Scott Jurek’s Eat and Run. Jurek is just moving out of the limelight as America’s greatest ever ultra runner; a central character in of McDougall’s Born to Run, he has set records at distances (135 miles through the searing heat of Death Valley in 24 hrs, 36 minutes) and over times (logging 165.7 miles in 24 hours of continual running on an 0.9 mile loop through a French village) that seem inhuman even to those of us who don’t flinch at the word “ultra” to begin with. Yet Jurek’s memoir – great for vegan recipes, btw, including an anti-inflammatory smoothie that is nothing short of a miracle cure – is full of suffering. It opens with the author flat on the ground at the aforementioned Badwater Ultra in Death Valley, his body overheating, his guts in revolt, his mind deranged, and still with 65 miles to go! Jurek pushed through this unquestionable pain to win the race and set a new course record. Does Whalley have equal disdain for Jurek as for those who “suffer” the big city marathon? Probably not, but he doesn’t tackle the issue. His view from atop the moral mountain is pointed very much towards the big cities. ...And the joy of running the Boston Marathon. Not mutually exclusive. But it’s possible I’m getting off track. (And road, and trail… I apologize!) Whalley, being an anarchist – which I greatly admire – is not much interested in benchmarks, positions, or personal bests. He offers only one finishing time, to my knowledge, in his entire book – an incredible 98 minutes for his first race up and down Ben Nevis. And he uses that example of youthful prowess only as a prelude to his most recent encounter with Britain’s highest mountain – in a snowstorm, where it took him four hours and no little disquiet to make it back down, but how the experience itself was no less ecstatic as a rsult. I get that part of it, and I am always happy to let go of my competitive spirit and run wild. Some of the best moments of my last few years have come from running something brand new, something off-road. My six-mile dawn jaunt down and back up the South Kaibob Trail at the Grand Canyon may be a commonly trodden path for hikers; for me, it was both physically punishing and visually ecstatic. My solitary saunter up the Whitney Portal after my ski trip to Mammoth Mountain this past January also looms large in my mind: sufficiently daunted at being the only car in a camping site, in January, miles off the main road, I drove back to civilization to send text messages letting people know where I was, just in case. That day, I called it quits long before my legs were tired, at the point that the snow, under my regular trail shoes, was starting to become deeper than seemed sensible, and the drop off the side of the mountain that much more precipitous – but it was a thrill all the same. Whalley, I suspect, would have kept going – much as he did at Yosemite, at the other end of the Sierra Nevada Mountains, where he climbed above the waterfalls and off into the deep snow, up to Eagle Point, to better emulate one of his many writer/walker idols, John Muir. The joyous view after running 2000ft down the Grand Canyon last year. But some of my other fondest running memories are from playing the urban tourist. They include a Sunday morning run through Paris on jetlag, past the Louvre and along the banks of the Seine, taking in almost all the sights in a single two-hour swoop. There was a Saturday all-morning jaunt through the Greek ruins of Athens, surprising myself by my ability (and desire) to keep going and going and going despite the Mediterranean heat. A Sunday morning in Epernay, running past the big champagne houses on the city outskirts while also nodding ‘bonjour’ to the town’s urban running community in the parks. I saw the Roman amphitheater in Nimes because I was willing to run through the City to do so. I so embraced the public parks surround the Royal Palace in Madrid that I not only got lost but forgot the name of my hotel! The list goes on – and as it does, I realize how fortunate I have been to have visited so many of these beautiful places. And I know they are beautiful precisely because I got out and ran them. Whalley is aware of his potential curmudgeon-ness and does his best to play Devil’s Advocate against his own, clearly good self. Ultimately, he is seeking to provoke and inspire – and when it comes to the concept of his local “fell” running, he absolutely succeeds. My lone “fell” race took place in Whalley’s adopted home county of Yorkshire (he was born in Burnley) – on Good Friday morning in 2012, after a late night of champagne backstage at a gig in Manchester. As Whalley notes in Run Wild, British topography is very different from American; it’s more hilly, and muddy, with more obstacles, and it’s more wide open than American trails, which lean, at least in my parts, to being more forested, mountainous, and self-enclosed. Our course that day was the Brantingham Hill Race, a seven-miler up and down a bunch of short but very steep bumps at the foot of the Yorkshire Dales, wending through farmland, across roads, over stiles and alongside hedges, and it was as much fun as just about anything I can think of with my clothes on. I could easily see why such small outings (this one had barely 50 finishers) are the mainstay of Whalley’s Yorkshire existence, for these races are about camaraderie, exercise, and competition against self than they are about finishing times or placements. The joyful start line of the Brantingham Hill Race in 2012. Still, this coming Sunday, October 13, 2013, I will nonetheless line up alongside several hundred other dedicated runners, in Central Park in Schenectady, for the Mohawk Hudson Marathon, and embark on a 26.2 mile course of bike trails and roads to end up in downtown Albany. I will not be doing it just for the recreation: having come up 40 seconds short of my PR on a marathon earlier this year, and 44 seconds short of a qualifying time for next year’s Boston Marathon in the process, I have a goal. Two of them, in fact. To achieve either one, I will need to give it my all. It will, at some point, most likely, hurt. I may, in the final miles, feel that I am “suffering.” But I can assure you that the vast majority of the course will be treated with great delight, that such pain as I might experience by pushing myself to my limits will be temporary, and that I will do my best to embrace it with enthusiasm. And if I achieve one of my goals this Sunday, then on a Monday morning in April 2015, I will be entitled to line up once more, in Hopkinton, Massachusetts, alongside 36,000+ other qualified marathon runners, in the longest running marathon in the world, a big city race that brings out, to me, the best not only in urban living and spectator participation, but which exemplifies the kind of communal crowd experience that I believe we humans crave – just as we need our times of solitude. For if this was not so, one might wonder why Whalley so clearly enjoys the sing-alongs at Chumbawamba concerts. Per the chorus of their universal hit single, “Tubthumper,” we get knocked down, and we get up again – and we continue on our path through life. Walking or running, urban or rural, tamed… or wild. Ultimately, it’s our own choice. It’s what makes us unique, as individuals. An anarchist would approve of that. Racing up and down mountains (and mountain ranges) is thrilling and intense, while running them – often alone – is meditative, firing up your sense of self and place. Racing forces you to experience the enormity of a mountain (Or forest, or riverbank trail) in a primal, savage rush. Running urges you to drink it in to explore it, to fill your head with it. PUBLISHED: 2013, Simon and Schuster. PRICE: £9 paperback/eBook. PAGES: 288. That’s the most thorough, informative and yet utterly argumentative review of the book I’ve read. It begs a proper discussion. But yes, I agree with a lot of it. But not all (of course)!